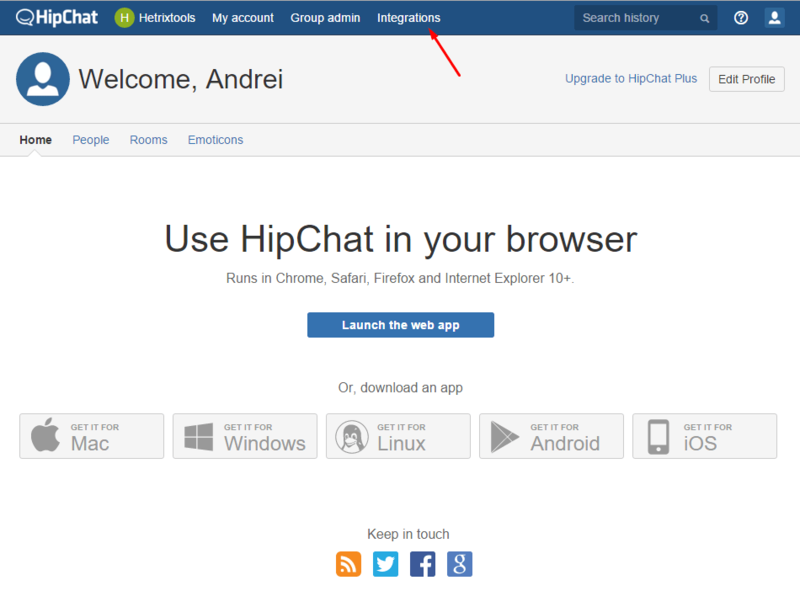 This guide is now deprecated, as HipChat has been discontinued. 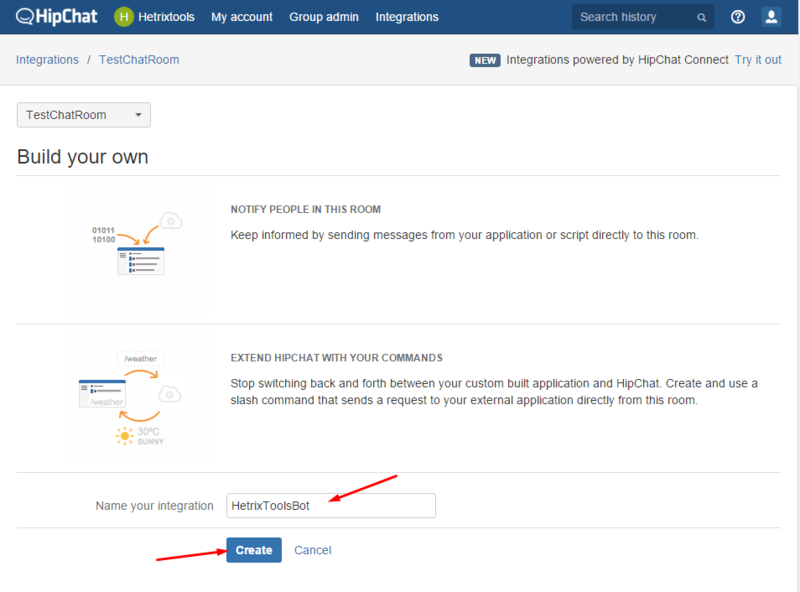 In order to start receiving notifications to your HipChat, you’ll need to create your Notification URL on the HipChat platform. 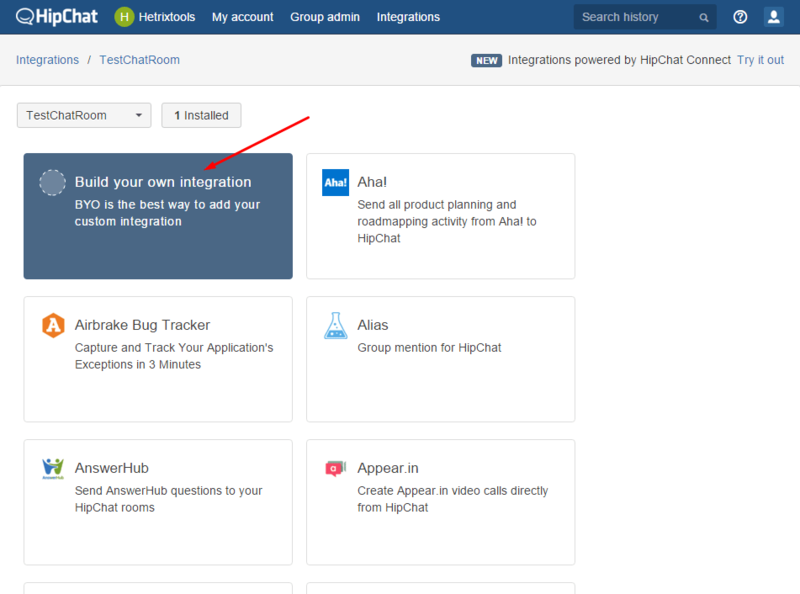 Begin by finding and clicking the “Integrations” button on your HipChat dashboard. 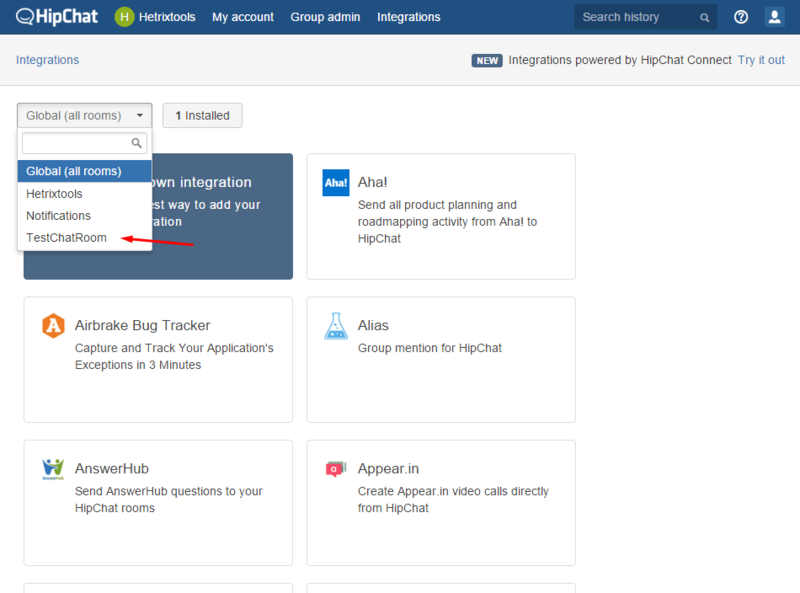 On the “Integrations” page select the ChatRoom you wish to receive our notifications into. 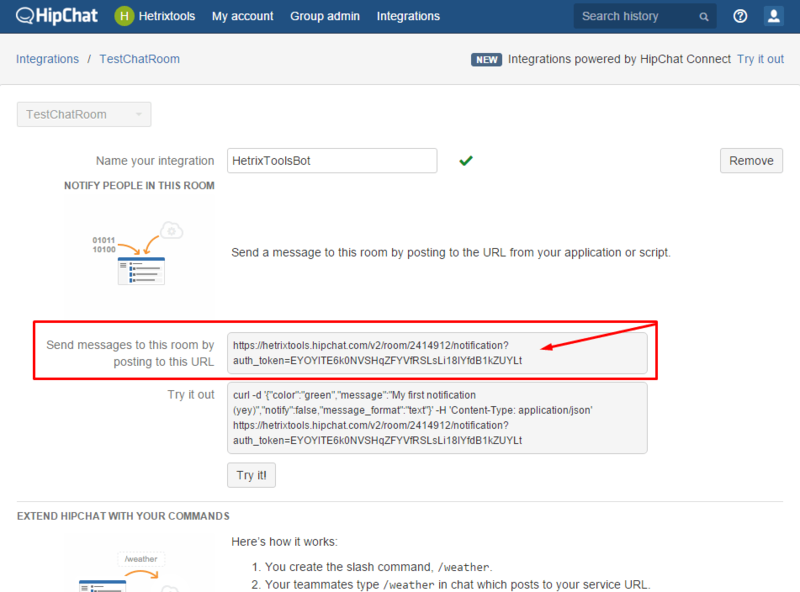 In our example below we’ll select “TestChatRoom”. Now click “Build your own integration”. On the next page give a friendly name to our notification bot. This will appear as the user posting the notifications in your chatroom, and then click “Create”. And you’re all done. You now have your notification URL. 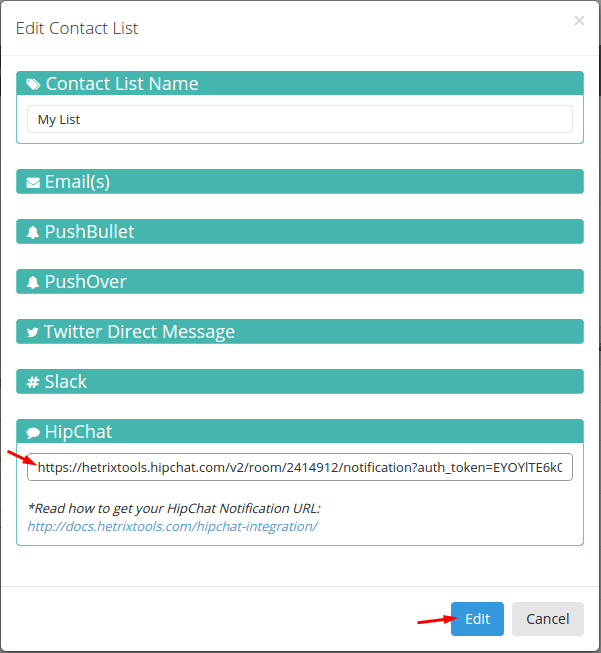 Last step, copy/paste your notification URL into any of your contact lists on our platform.